Can you spell “idiosyncratic?” That’s just one of the many words you could use to describe this beloved musical about passion, perseverance, and growing up while keeping true to yourself. You won’t want to miss the return of The 25th Annual Putnam County Spelling Bee, now playing at the Bristol Riverside Theatre. This little show with a big heart still brings us joy after all these years and here are a few reasons why. 1. Its backstory is inspirational. Before it was a Broadway hit — heck, before it was even an Off-Broadway hit — The 25th Annual Putnam County Spelling Bee was an improvisational comedy show called C-R-E-P-U-S-C-U-L-E. It’s subsequent development and journey to the Great White Way is a true “Little Engine That Could” kind of fable that is chronicled in a fascinating episode on the first season of Broadway Backstory. 2. It requires hilarious audience participation. One of the greatest and most original elements of the musical is that it requires the assistance of two audience volunteers. In case you’ve yet to see the show, we won’t give too much away other than that the two showgoers must actually try to spell words next to their practiced fellow Bee participants. Julie Andrews famously volunteered during the Broadway run of the musical. 3. It’s really funny, but also quite moving. 4. It features some pretty avant-garde dancing. 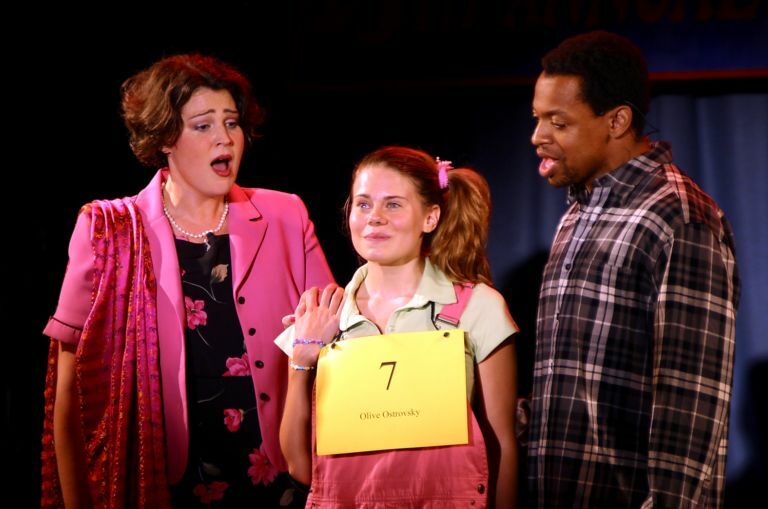 If you like to see musicals with big dance numbers, you’ll love The 25th Annual Putnam County Spelling Bee. Just be forewarned that these numbers are not the most typical. The spirited songs call for some petty creative choreography. Between William Barfee’s “Magic Foot” and Chips, well, unfortunate box-movements, you’ll find yourself delighted and surprised by the dance in the show. 5. It jumpstarted some awesome careers. 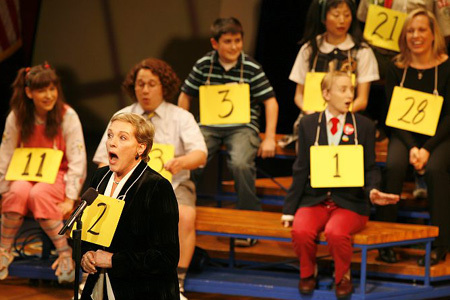 Before Glee made nerdy-cool widely popular, the original cast of the The 25th Annual Putnam County Spelling Bee featured the talents of many character actors who have gone on to some incredible careers. Just some of the spellers included Modern Family‘s Jesse Tyler Ferguson, Broadway regular Celia Keenan-Bolger, and Dan Folger, who won a Tony Award for his performance. Need a little m-a-g-i-c in your life? You can save up to 50% on tickets to The 25th Annual Putnam County Spelling Bee, now playing at the Bristol Riverside Theatre!